At first glance one might think that after this cover, with the goat in the first place, we are going to meet with a band of Black Metal of classic style, as it is the same iconography we’ve seen it a thousand times within the scene. But no, Pokerface is a formation of Russian who prefer Thrash Metal and I must say that your choice is successful because it is not given anything wrong. Looking for information on the band at their website, I’ve seen that have been made of the support band in your country for names as important as Sepultura, Children of Bodom, Vader, Kreator… which shows that although they take in only active since 2013 have some baggage. 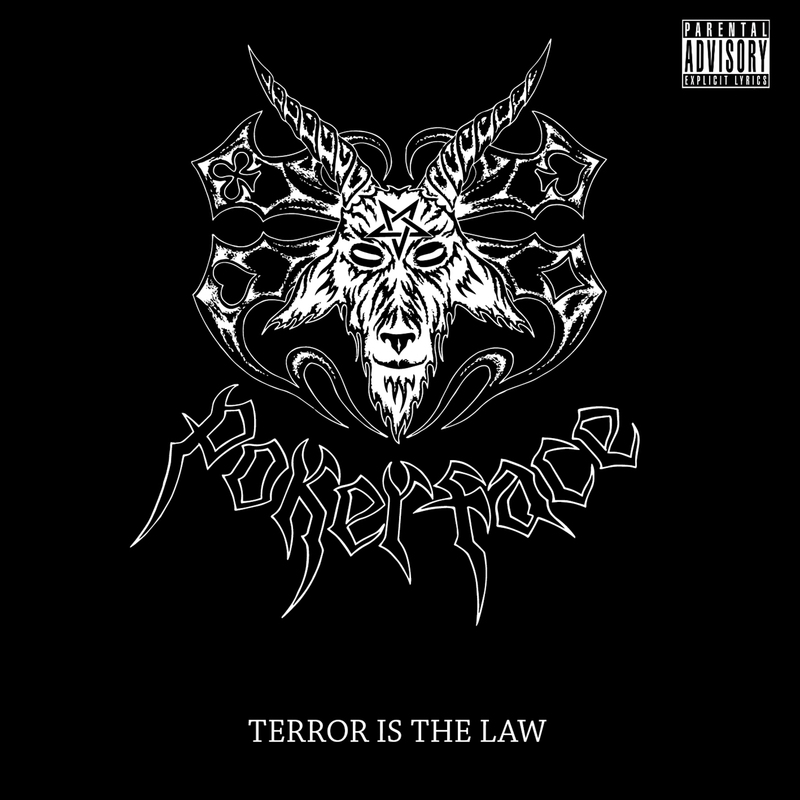 The main curiosity is that the band have in their ranks a female vocalist, and although this is not eye-catching within the extreme metal, they look a little on the Thrash Metal, I at least not I know many.”Terror is the Law” is an Ep with 6 songs of something more than 20 minutes in length which serves as an advance for his first job of “Divide and Rule” and with that achieve a perfect presentation card, because the result is brutal. 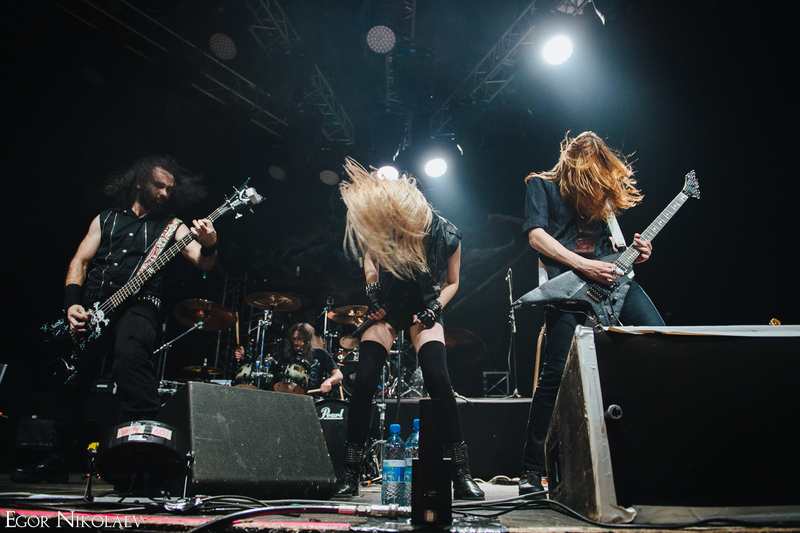 The hostilities opened with the theme “Terror is the Law” – a great song of Thrash violent, fast and forceful it hits us directly, here we appreciate the power in the voice of Delirium that reminds me of Angela Gossow ex Arch Enemy, with which to give a touch of Death and does no more than increase the aggressiveness of the band. The production is good and does not detract at all the work, getting a result very professional. “Under the pentagram sign” follows the same paths Thrash. In my opinion they should have placed this court in another position within the Pd as it gives you the feeling, especially at the beginning, to be listening to the same song. “The chessboard killer” is one of their best songs, catchy and with a little more melody, thought to play a live show, here is where you most remind me of Arch Enemy, surely influenced by the voice. The aggressiveness goes up exponentially with “Symphony of hades” are much faster and aggressive than the previous, very deep in the Destruction or Sodom in his facet more wild. In the “Uniform of terror” the band changes a little bit of third, and the rhythms are less accelerated, the guitar riffs become heavier and more powerful, it is possibly the most Heavy of all, very good. This magnificent work to a close with “Reason of hate” in which to resume their aggression and savagery initial, a great theme that leaves you with a good taste in the mouth and with the feeling of wanting to hear more. As I have already said, the band is in the street, their first Cd is titled ”Divide and rule”, and listening to this advancement, I would dare say that it will probably be brutal, I’m looking forward to listen to it.